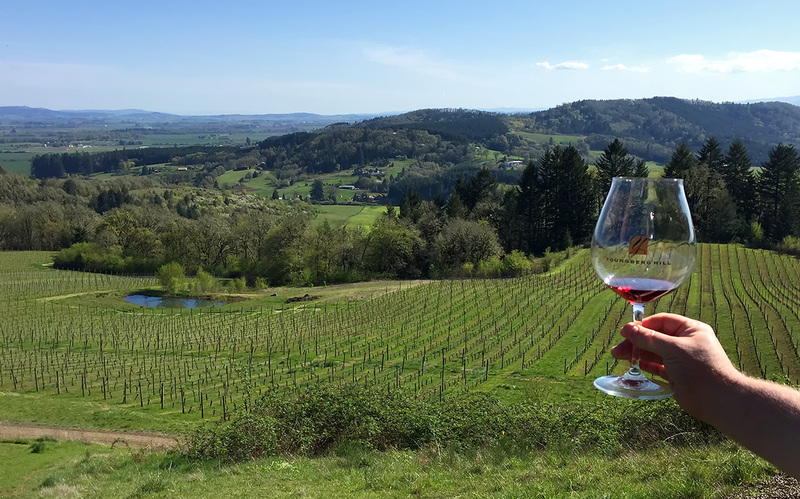 The North Willamette Valley is home to beautiful farms, quaint towns, curvy roads, and of course some of the best wines in the world. This year’s tour includes more country blacktop and twisty back roads. 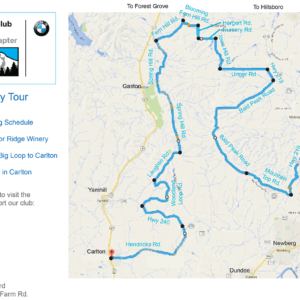 We’ll twist our way over the Bald Peak scenic area, and glide thru sweeping countryside to Carlton. Lunch, tastings, and specialty gifts are available within a two block walk. 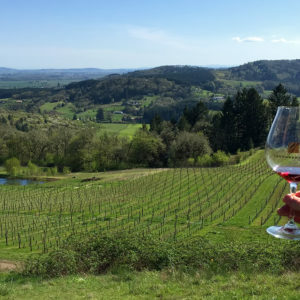 We’ll ascend into the Red Hills to several wineries in the Dundee area, then run through the farmlands and foothills around Amity to McMinnville. Historic 3rd Street will play host to our hungry group again this year for dinner. 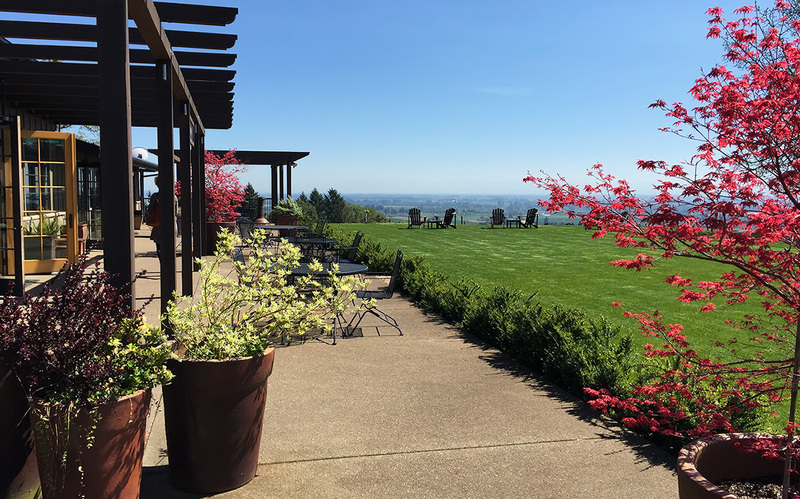 Join us for a great day of touring and tasting in the Wine Country! 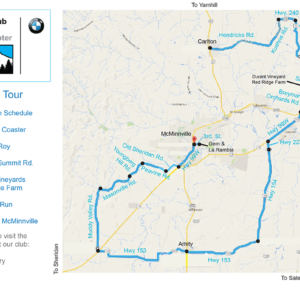 This tour is self-guided, and you can join / depart the tour as you wish. Maps will be provided at the start, showing the stops and “Time Windows” for each stop. 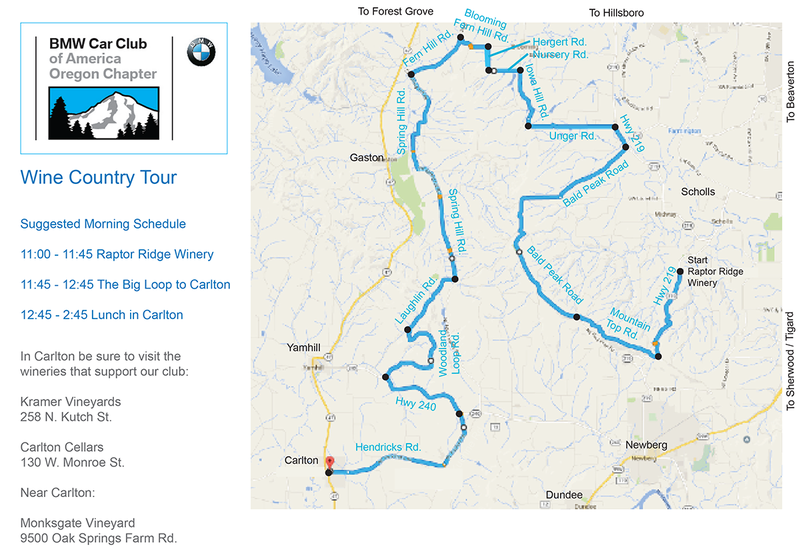 Other wineries that sponsor our club events will also appear on the map as suggested alternatives. 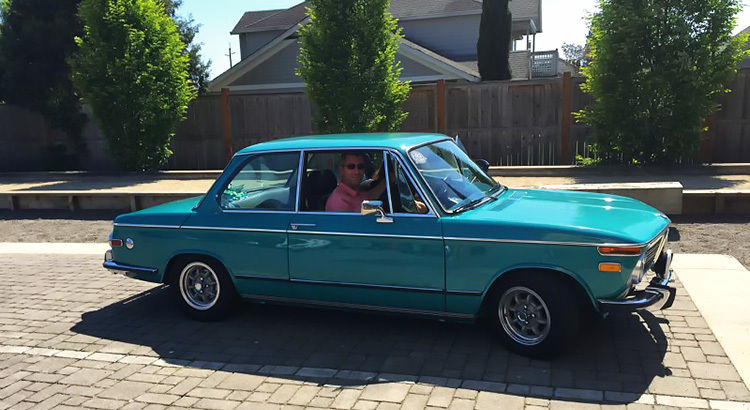 Go ahead, explore a side road or visit another winery. You can rejoin the tour at any point. The tour starts at Raptor Ridge Winery at 11 a.m. We enjoyed this winery so much last year we’ve selected it as our starting place again. 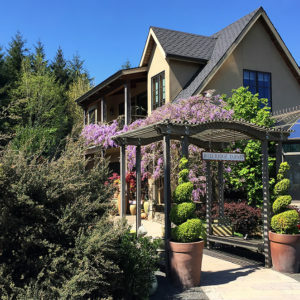 Situated on the flanks of Chehalem Mountain, Raptor Ridge offers vineyard views and an open-air tasting room. 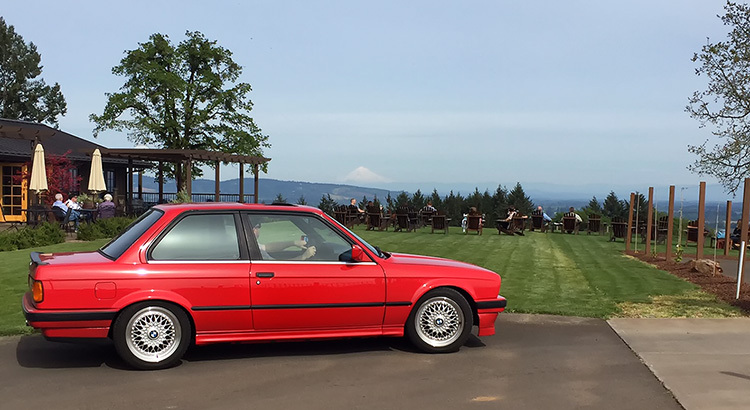 This one-hour loop takes us across Chehalem Mountain and the Bald Peak scenic area for a fun jaunt along its twisty roads. 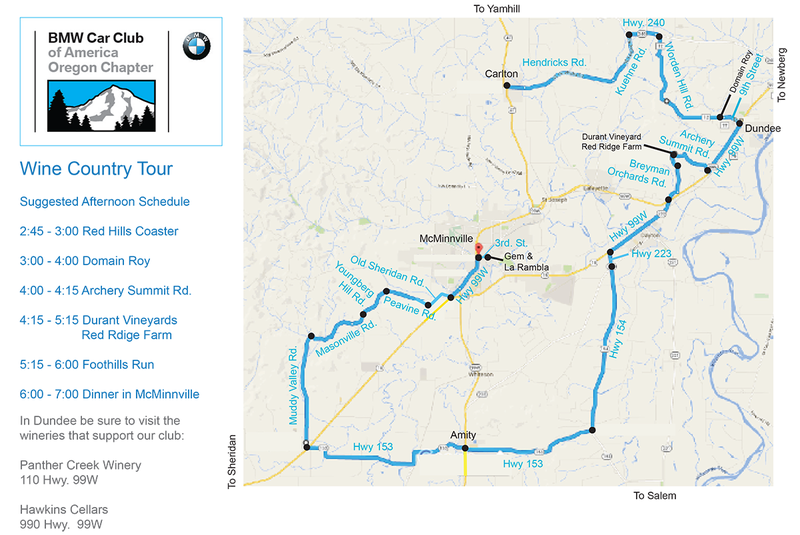 We’ll descend into the valley and enjoy sweeping country roads to Carlton. Carlton is a quaint destination town that features wineries, restaurants, and specialty shops within a walkable two block area. Mother’s Day is Sunday, and Carlton is a best-bet for finding her something unique / tasty. After enjoying lunch, we’ll head up into the Red Hills for some roller-coaster inspired fun. It’s a true 3-d driving experience that’ll leave you wanting to return. Descending towards Dundee we’ll land at Domain Roy. Domain Roy’s brand-new $12 million facility is exemplary of modern northwest architecture, and offers commanding long-range views of the valley. 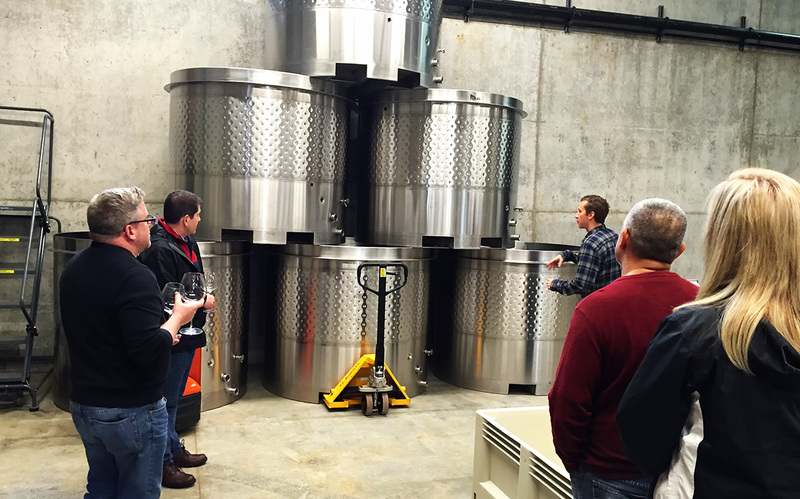 We’ll enjoy tasting their elegant pinots and touring their fascinating state of the art winemaking facilities. 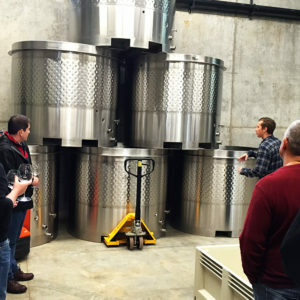 Tasting and tour is $25 per person. 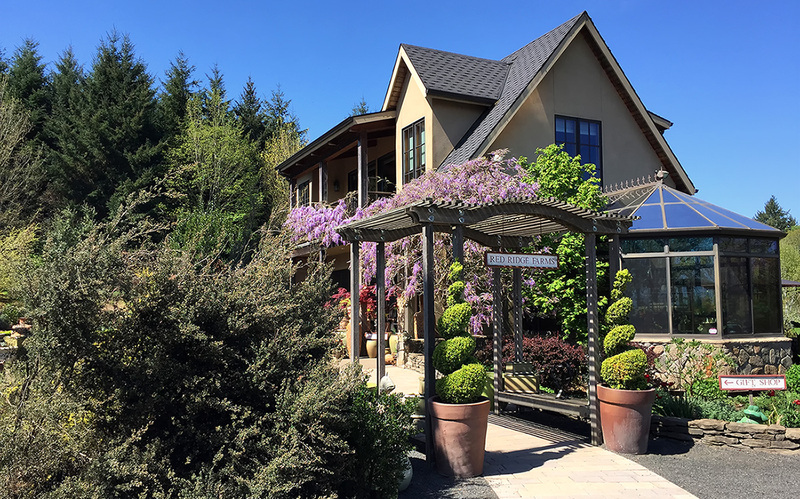 We’ll depart Domaine Roy, head through Dundee, and ascend the newly-paved uphill-sweeping Archery Summit Road to our next stop. Too bad it’s not fifty miles longer! 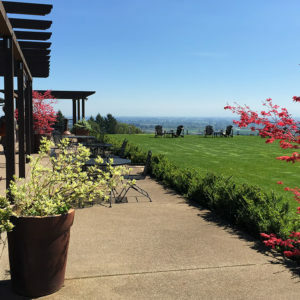 This relaxed tasting room offers beautiful views and a comfortable lawn to stroll or relax on. Walk next door to the farm nursery and gift shop. Taste some locally-made olive oils and peruse their assortment of unusual gifts and plants. 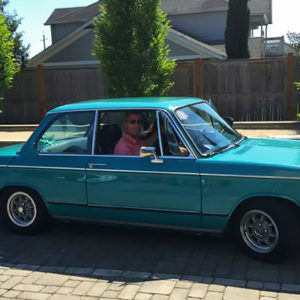 Our last run is through the farm country around Amity, then we’ll hit some great twisties and sweepers through the foothills of the Coast Range near McMinnville. After putting our cars through their paces one last time we’ll head into town. After a busy day of Touring and Tasting, you’re sure to have an appetite! Last year we enjoyed Gem (creole) and La Rambla (tapas) so much we have a large table reserved at each again this year. The only trouble is how to decide which one to choose!